Using EduCanon is really quite simple once you’ve settled on a video to use. Just click “build” at the top of the screen and embed the video’s URL link. Your video will show on the EduCanon screen where you can add either multiple choice questions or reflective pauses to any part(s) of your video as seen below. Users with a paid subscription have more question options, including free response. Creating questions is easy on EduCanon; there really is not much of a learning curve because this site is so user-friendly. A major issue with flipping a class, or a part of a class, is accountability–how do I know people have viewed and understood the video? EduCanon lets users create classes that will register each student’s answer to an embedded question. EduCanon videos cannot be fast forwarded but can be rewound ensuring that students watch what is required and are able to review necessary parts. A few thoughtful and well-placed questions throughout a video will ensure that all material is watched and allow the teacher to assess student understanding. For a complete tutorial, click here. I recently flipped a faculty meeting about web page creation using EduCanon. I created a 10-minute tutorial using QuickTime player on my Mac which I then imported to iMovie so I could create some transitions and delete some material to make the segment shorter. After uploading the video to YouTube I was able to import my creation to EduCanon. While this process is somewhat time-consuming, it is certainly easier if you use preexisting video. 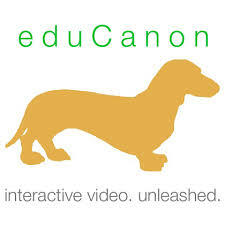 So, if you were going to show a video clip in class, a TED talk, or a Khan Academy tutorial, you can flip that part of your lesson for homework using EduCanon and be sure the video was watched, understood, and hopefully even enjoyed.